Concept designs of future iterations of our favorite products keep us dreaming of what one day may be, and given their reputation among the design elite, it’s fair to say Apple gadgets get a lot of attention from designers and concept-makers. 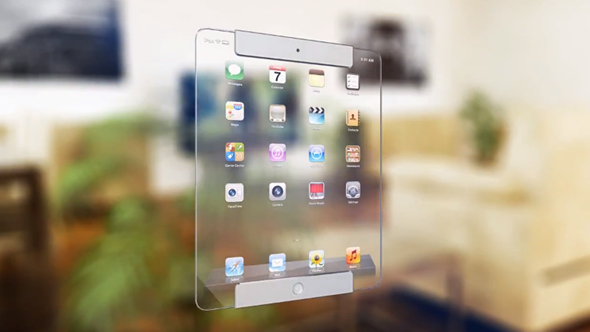 Ricardo Afonso envisions the iPad eventually taking on a transparent look at some point in the future — a simple pane of glass which, as he puts it, “blends perfectly with the surrounding environment”. Check out the images and video below for more. Google’s Project Glass is looking to bring the wonders of augmented reality to the market, and this iPad concept appears to follow that motif. Afonso talks of enhanced immersion in giving his explanation of design choices, and if one can imagine Google Glass-meets-iPad on a grand scale, it bodes for an exciting product with seemingly endless possibilities. Being careful not to get too carried away, Afonso points soberly notes how technology is “still far from . .such a device,” but nevertheless, the designs are pretty inspiring, particularly given how he combined current ideas, potential progression of Apple, and his knowledge of computer-generated imagery (CGI) to come up with what you see here. Although he views his concept design as a rough guide to the future of the Apple tablet, he has maintained the current look of iOS since people can easily identify with it, but one has to hope that the look of iOS will be altered sooner than any transparent technology arrives. There’s no doubt iOS functions well and looks good as it is, but the fact Apple has stuck with the same fundamentals has proved a restrictive, and a snapshot into the distant future only re-ignites our desires for some big changes with iOS 7 under the helm of Sir Jony Ive. 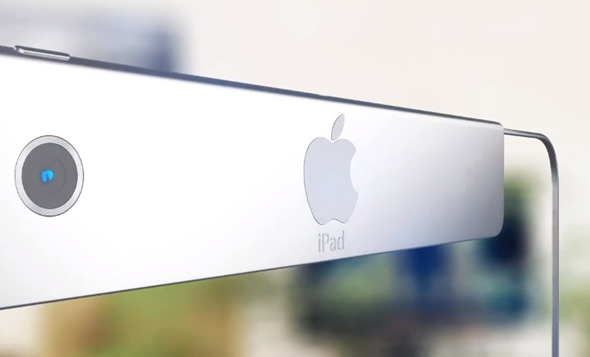 Apple has just bumped up the current fourth-gen iPad to a rather sizeable 128GB, and while we expect the Cupertino to ring the changes later this year with an iPad mini-esque anodized aluminum look, we certainly don’t anticipate this glass sheet-with-a-home-button. Nonetheless, it’s certainly striking, and if this, hypothetically speaking, turned out to be the iPad 5, I think I would consider purchasing it. Would you? Share your thoughts via the usual mediums below!